Thin flounder fillets are perfect for stuffing. 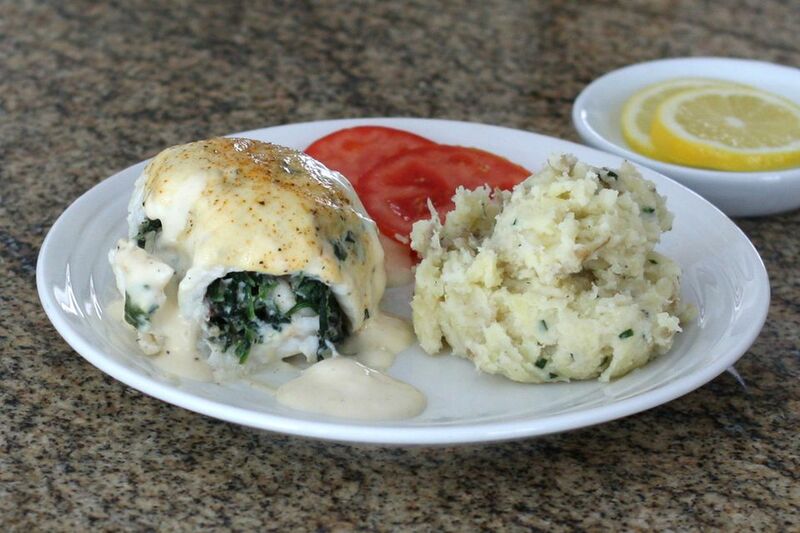 These flounder fillets are rolled around a savory seasoned spinach mixture. It's surprising how easy this elegant dish is to make! Just cook the spinach, stuff the flounder, and bake. Serve the fish with the simple white sauce and Parmesan cheese. A simple side dish of baked or roasted potatoes would be perfect with the fish. Rice is another good choice. Add a tossed salad or mixed greens for a memorable meal.